Desi Smith /Gloucester Daily Times. 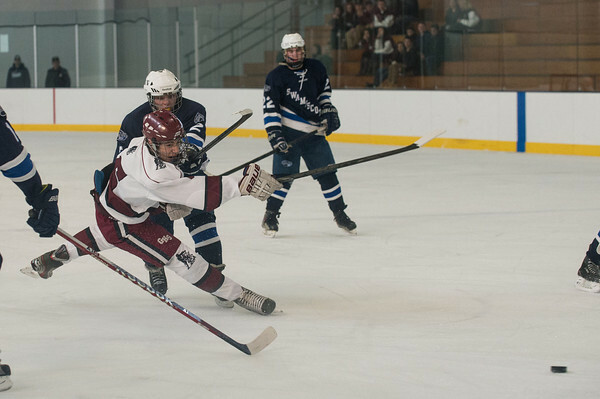 Gloucester's Ian Kennedy takes a hit by Swampscott's Stevie Dandero just a he puts a shot on net, Sunday afternoon at the Dorothy Talbot Rink. February 16,2014.